The first bill Democrats have introduced for this legislative session, LD 1, should not need to exist. 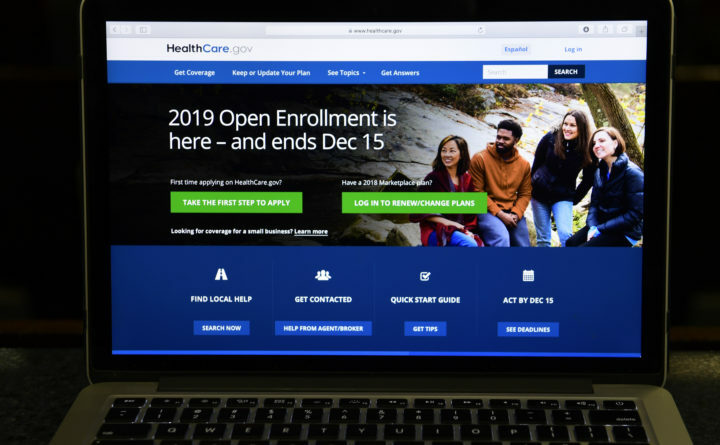 The set of health law changes is essentially an insurance policy for Mainers in case the Affordable Care Act is gutted or found unconstitutional by the Supreme Court. By removing references to the ACA, as LD 1 would do, lawmakers can be sure that patient protections remain in effect no matter what happens to the federal health care law. Some Maine patient protections are weaker than the ACA’s, so this bill strengthens those as well. For example, the ACA includes more types of care under its essential health benefits requirements and it limits how much patients have to pay out of pocket. Maine law allows insurers to charge older customers up to five times as much as younger ones. The ACA limits this to three times. LD 1 would adopt this lower limit. If LD 1 is enacted, young adults up to the age of 26 can remain on their parents health insurance policy. The bill, sponsored by Democratic Senate President Troy Jackson, also forbids insurance plans from excluding people with pre-existing conditions and forbids lifetime or annual limits on the dollar value of benefits. “I call it insurance for insurance,” independent health policy expert Mitchell Stein of Brunswick told the BDN. Last month, a federal judge in Texas ruled that the Affordable Care Act is unconstitutional because Congress had eliminated the individual mandate, an essential part of the law. The ruling, at first, seems like a potentially fatal blow to the landmark health care law. Left-leaning advocacy groups ominously warned that 20 million Americans would lose their insurance coverage because of the decision. Protections for pre-existing conditions and Medicaid expansion were also doomed, they warned. While there is reason for concern, these warnings are premature. First, the Texas decision did not include an injunction that invalidated the Affordable Care Act. The law remains in effect and people covered through its insurance marketplaces remain insured. Patient protections that extend to employer-based and other private health insurance also remain in effect. Second, legal experts agree that the decision, which caught pundits off guard, is likely to be overturned by higher courts, including the U.S. Supreme Court, if it gets that far. Dmitry Bam, the associate dean of the University of Maine School of Law, said the Texas decision is “pretty clearly wrong.” Therefore, it is likely to be overturned, probably by the 5th Circuit Court of Appeals, where states defending the ACA filed an appeal on Thursday. If it gets to the Supreme Court, the high court is unlikely to let the Texas decision stand because it would be disruptive to millions of Americans and the U.S. economy. The court tries to avoid issuing rulings that would be so disruptive, Bam said. There are other threats to the ACA, and its patient protections as well. The Trump administration has put new rules in place allowing short-term policies with high costs and limited coverage. LD 1 would protect Mainers from low-cost policies that offer limited coverage and exclude protections for pre-existing protections. Although Democrats now control the U.S. House of Representatives, there may still be efforts to abolish or weaken the ACA in Congress. They are unlikely to go far. However, it makes sense to update Maine’s insurance protections to make sure they will remain in effect no matter what happens to the ACA. That is what LD 1 does.